If you've followed this blog for some time, you will notice that there have been some changes around here. Mostly, I haven't been posting reviews for every single book that I have read and that the reviews are getting fewer and more far between. There is a reason for this. I started this blog back in 2012 as a way for me to write about my passion, books and reading. I wanted to also remember the books that I have read and when you read as much as I do, that can be a hard task. I also wanted to share my love of reading and how I felt about a particular book with others who share the same passion. 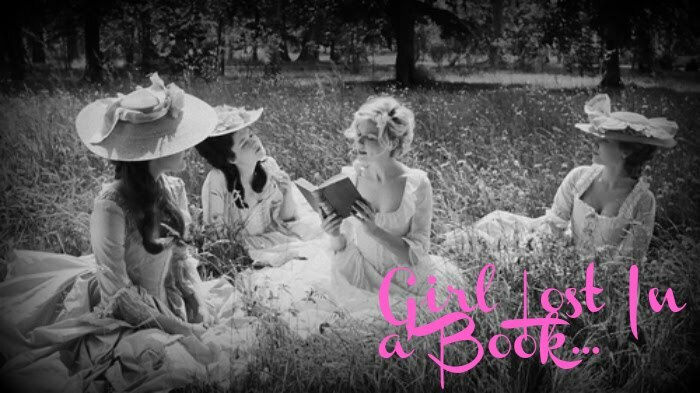 And so Girl Lost In a Book was launched. It quickly became an outlet for me and a way to expound on my writing skills and to share with the world my views on the books that I came across. Quickly, I found an outlet to showcase mostly historical fiction, historical mysteries, cozy mysteries and a few other genres. I remember how excited I would be after I finished a book and how I wanted to share my thoughts right away. I was actively involved in reading other blogs that had similar tastes and I was shameless promoting my blog. I thought it was all fantastic and exciting. However, I've noticed here over the last year or so that my passion has drastically dwindled. I still share the same fanatical love of books and reading, but my passion for writing a review about every book has changed. It has become a chore for me and I feel like I am constantly repeating myself in different words with every blog post that I have. I feel that my light for writing reviews has slowly been diminishing. I have racked my brain to try to figure out how to get back to the excitement that I first had when this blog started. I love reading, that will never change. I love books and find that they make up a huge part of my life. I am never not reading something. I am always looking for new and exciting reads despite the fact that I have about 600+ books on my Kindle, a home library with about 500+ books on the shelves and a local library that continues to entice me with their new and old titles. My love and passion is first and foremost for books. However, this blog has taken a second chair to that. I find myself wanting to read a book, just to read a book and not having to write a review about the same. I was starting to find it tedious and almost draining to have to boot up the computer to write a review on some nights. Let's be clear. No one is forcing me to write reviews about the books I read. I am most generously given many titles and participate in many blog tours because I simply want to. I fully plan to keep my commitments to blog tour promoters and publishers alike. With deep thought and consideration, I have decided to limit the books that I review on this blog to blog tours, books given by publishers/authors/etc. in exchange for reviews and those books that I simply feel compelled to write about. I find that if I do this, I might bring back some of the excitement that I originally had when I started this blog. I hope that you as a reader, follow blogger or follower will understand and respect this choice. I know a lot of book blog followers like blogs that regularly feature books, reviews and giveaways, but I can't find it in myself to carry on quite as I did before. I feel a loyalty to myself, my readers and the books that I review to do my reviews with justice and passion and I feel that I haven't been quite doing that here lately. I will still be blogging on this blog and posting reviews, it just won't be as quite as frequent as before. I sincerely hope that you will continue to check back and see what is happening on this blog and that even though I am not writing as many reviews as before that you will enjoy my view on the books that I am reading. You might even see some freestyle writing about my thoughts about books, authors and the emerging world of reading from time to time. I want to change it up a little bit and make this exciting again. I have no intentions at this time of quitting Girl Lost In a Book, but making it a little more enjoyable for you and myself as well. I hope that you will continue to follow this blog and be a part of my passion even though it might be a little different moving forward. I can so relate to what you are saying. I love to read, around 60 books a year, but very rarely write a review for Goodreads or even Amazon. Doing that makes me feel as though I am back in high school and have to write a book report. Not going to happen again in my lifetime!